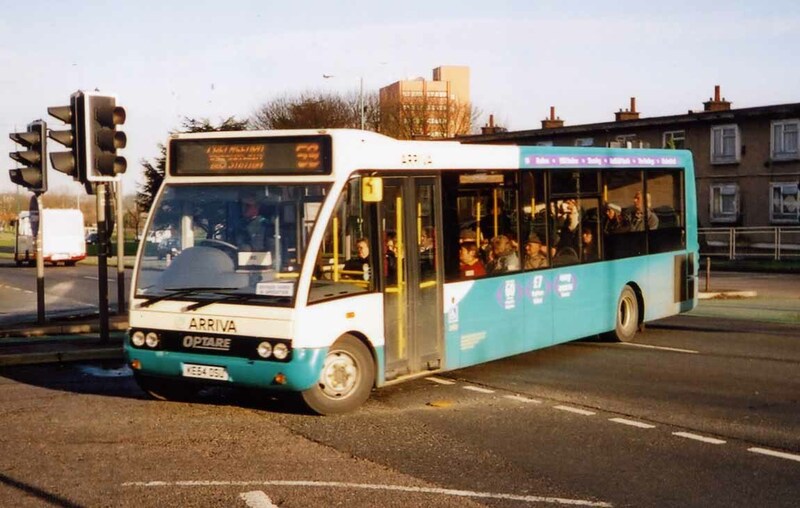 The major "big group" operator in the town and the largest player, the local Arriva operation has its roots in the old London Transport country bus network. Its garage lies close to the town centre and is one of only two original former London Country garages remaining operational. 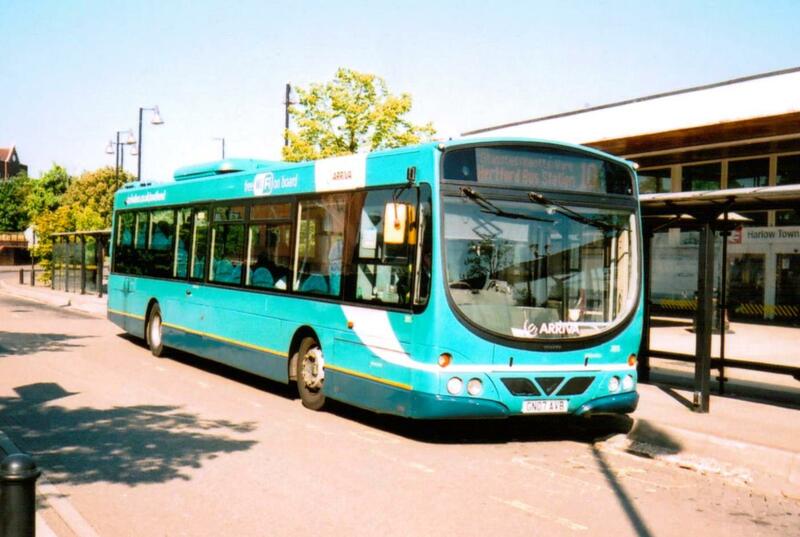 After being London Country North East, County Bus was formed where Harlow was the head office. 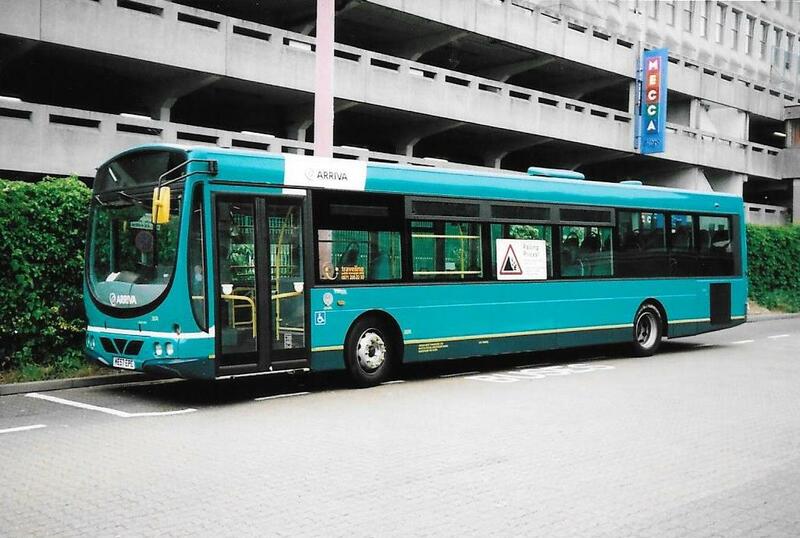 A short spell under West Midlands Travel ownership, then onto being part of the Cowie group, which transformed into Arriva. 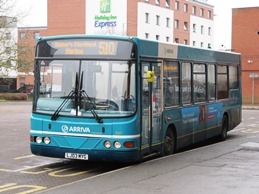 In 2010 management responsibility within Arriva changed to the TGM group, which was accompanied by the introduction of the Network Harlow name and dark blue livery for local services together with the SX Connect name for out of town services 59 and 509/510 (along with the 133 at Stansted). 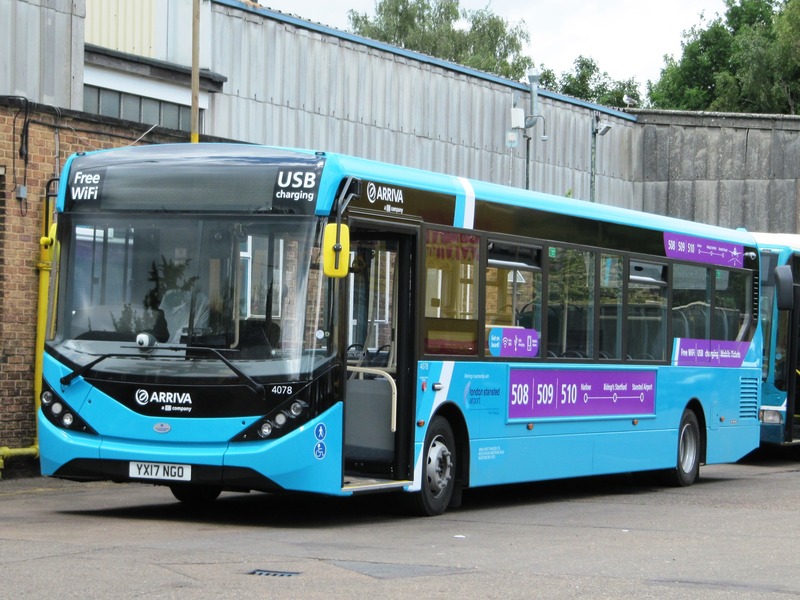 In 2016 this reversed with the transfer of management responsibility to the Arriva Kent Thameside part of the business and the Network Harlow and SX Connect names were dropped and more usual Arriva liveries returned once again with only a single exception remaining. After a long period where there was a wide-range of fleet types and some fluidity almost each month, in 2016 this became much more settled with just 4 types remaining in service. 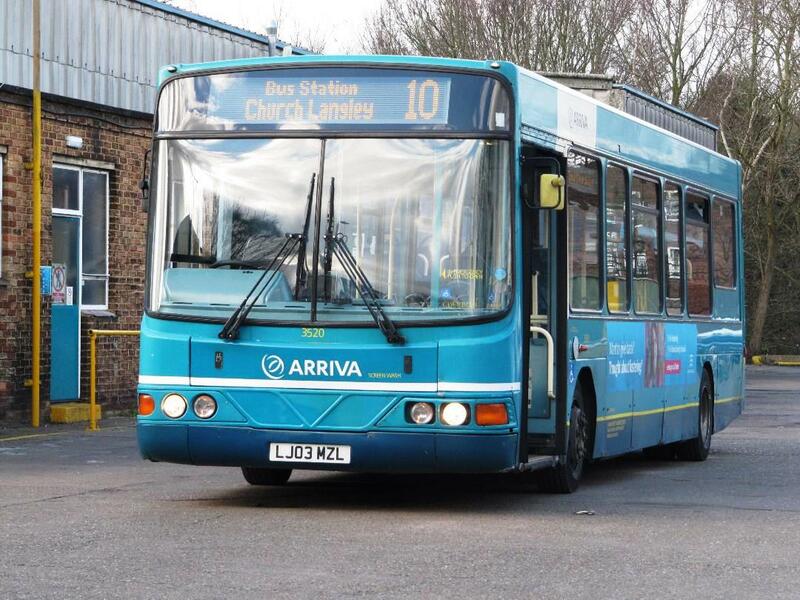 This as grown again a little with some of the other types which are typical in the Arriva Kent Thameside fleet coming and going, for the short or long term, as needed. 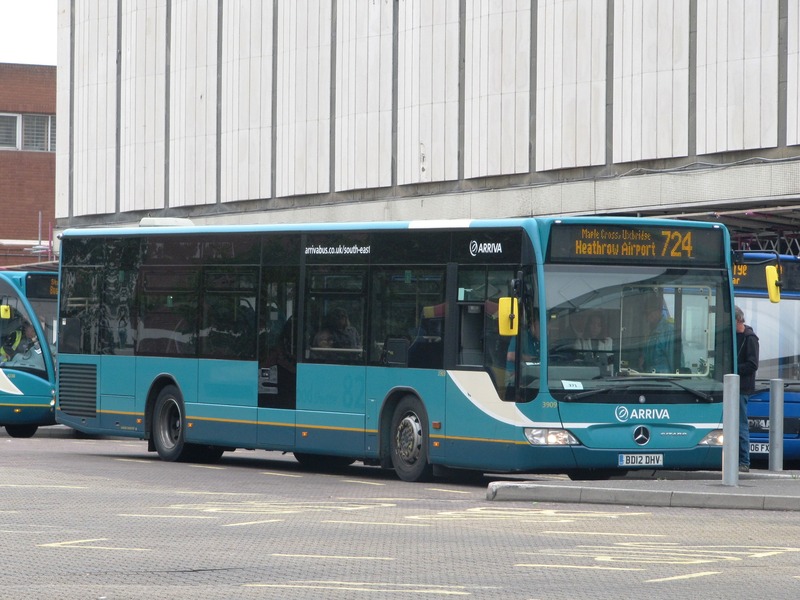 The most recent major development to take place, effective 3rd August 2018, was the assumption of three commercial routes formerly operated by EOS, being the 66, 86 and 87. Seven vehicles were corralled for the start and no EOS vehicles were borrowed or bought. 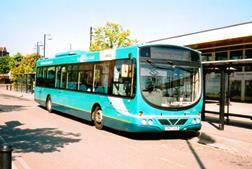 As soon as September though, the 66 was transferred to Ware and with that most of the acquisitions moved on. 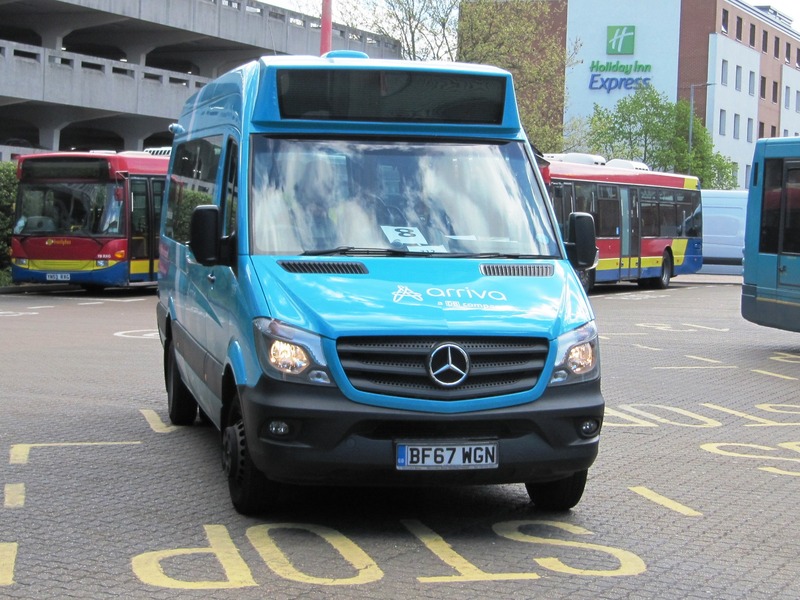 An attempt was made in late 2017 to reintroduce minibuses in a number of areas where Arriva Kent Thameside operate. By all accounts these were not popular and in many cases they have quite quickly been stood down or scattered elsewhere around the fleet. 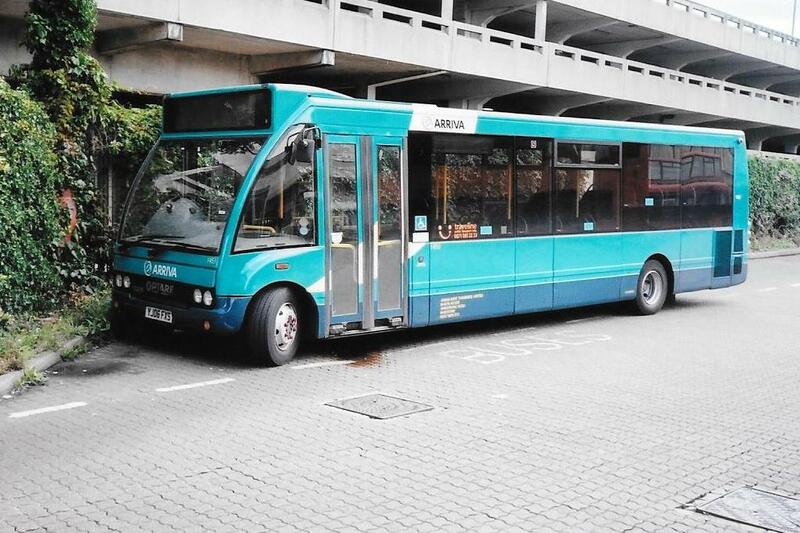 Two arrived in Harlow in Spring 2018 and took up service on the 6/8 town services, often 1 of the 2 vehicles allocated. One (1015) remained operational throughout the summer whilst the other (1010) has now returned following a period of operation elsewhere. The third example, 1019, arrived in March 2019. A fleet of brand new vehicles took over routes 508/509/510 in 2017. The first vehicles were noted in the area in mid-June with the first noted entry into service being Monday 19th June with all 12 (4076-4087) in service by 28th June. They are B45F and carry route branding. 4084/5/7 were unbranded for around 1 year from entry into service but were dealt with earlier in 2018. 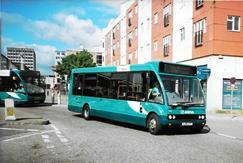 They regularly stray onto other routes, especially the 9, 10 and 724. 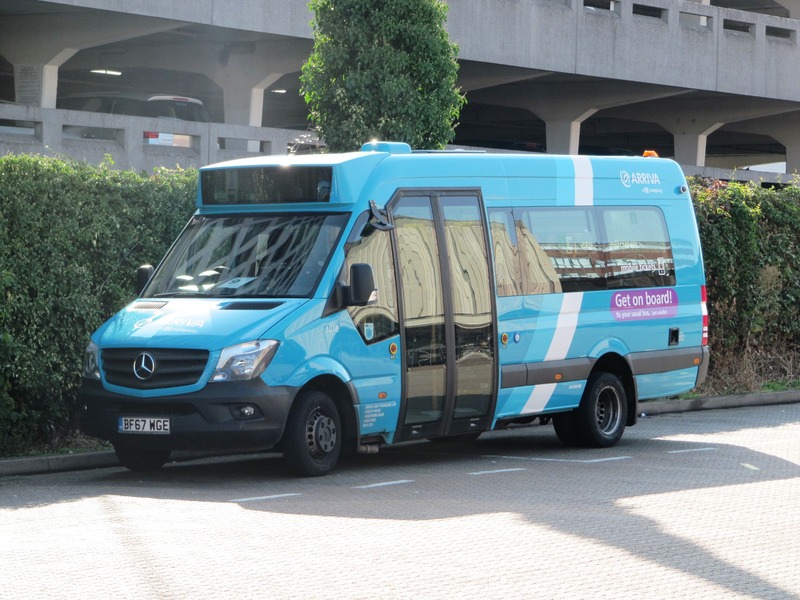 Two additional vehicles of this type arrived concurrent with the EOS commercial route take-up in summer 2018 but both have since left. 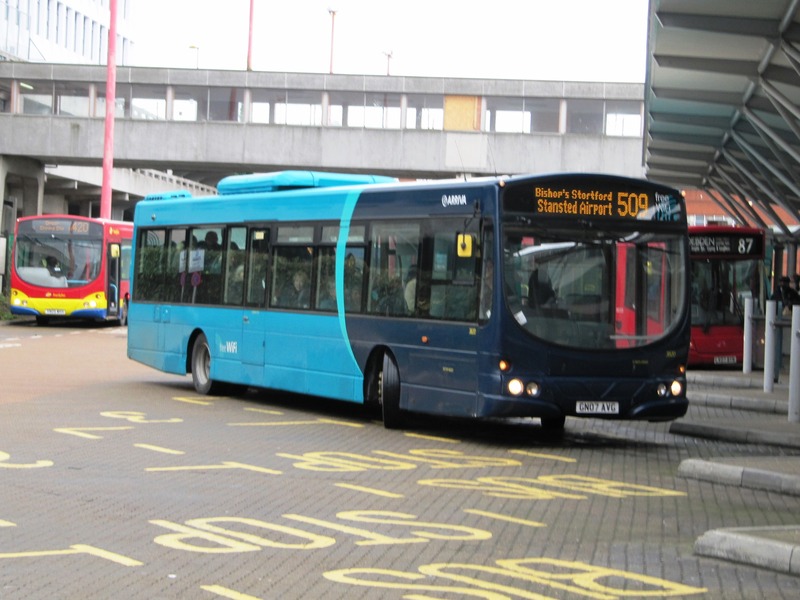 An upgrade for the 59 in November 2008 brought 2 brand new vehicles to a service that was hitherto run using a pair of Solos that were just 4 years old. Both examples, 4198/9 (YJ58PFY/Z) left the fleet in 2018. 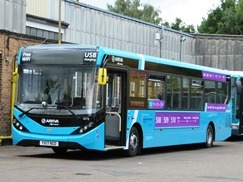 In January 2015 6 further examples arrived from the Medway area (4230/1/6/7/8/9) to replace the remaining fleet of Volvo B6LE's. These becaame the primary allocation on town services 2 and 3. During summer 2015 a number of loans appeared including 4203, 4204, 4210 and 4213. None remained operational into October 2015. The fleet strength was expanded to its maximum, 10, by the addition of 4228 and 4232, also from within the Kent Thameside fleet. Some have since left. 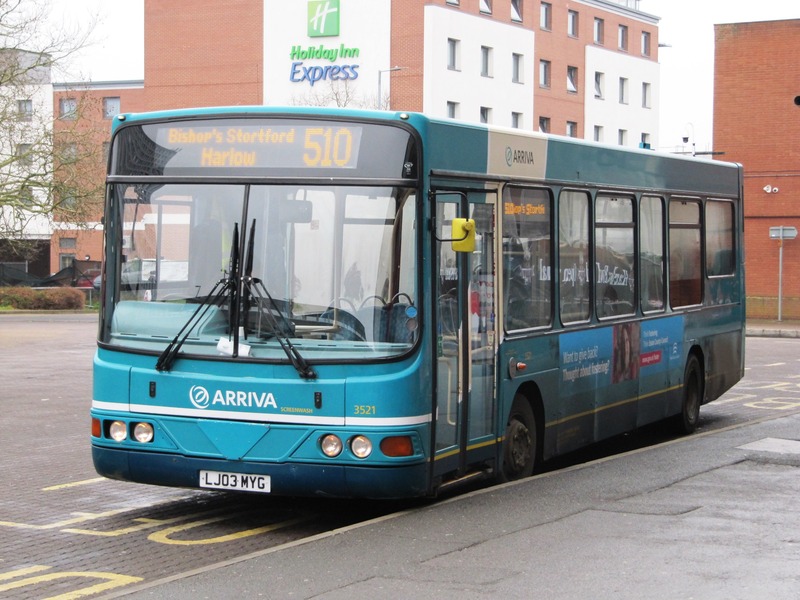 These were the fleet that was essentially dedicated to the 508/509/510, the 510 having been converted to the type on 6th December 2004 in a dedicated branded livery. Gradual frequency increases saw more vehicles joining the fleet, some new, others not. 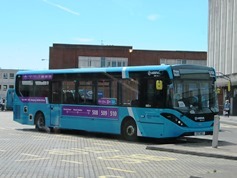 For a while the original livery was replaced by SX Connect deep blue but standard inter-urban without branding became the norm in 2016. 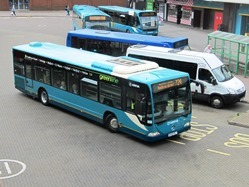 The most recent vehicles to join the fleet were 12 examples of the "11" registered batch which transferred from Ware in August 2016 where they had previously operated on the 310 (Herford to Waltham Cross). These entered service with 310 branding (3883 still has it, August 18!). 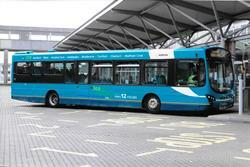 Fleet examples visited the 10 and 724 services frequently. 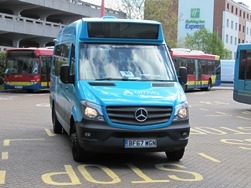 Following the arrival of the E200MMCs in June 2017, the majority of the fleet moved out to Stevenage with just 4 remaining, the 10 being their residual mainstay. 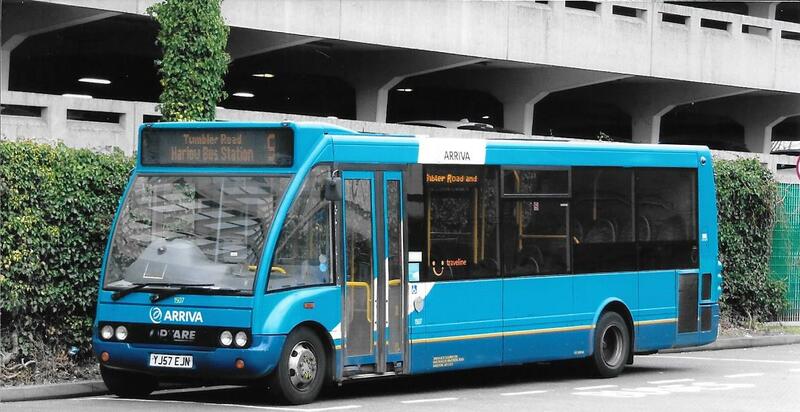 This was boosted in December 2017 for the expansion of route 9 and the fleet size increased with some of the originals returning. In Spring 2018, 3815 and 3820 joined the fleet from Kent. 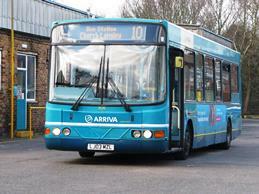 The latter is the only vehicle in the fleet to carry Arriva MAX livery. The 2016 intake of 2011 former 310 batch is represented here by 3876 (since left). The 310 branding was still in place when seen here on the 510. (R Hudson). 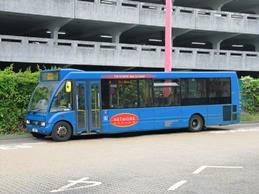 A recent addition, once a fastway-liveried vehicle used at Bluewater, but latterly on other local services in Kent, 3820 demonstrates MAX livery. 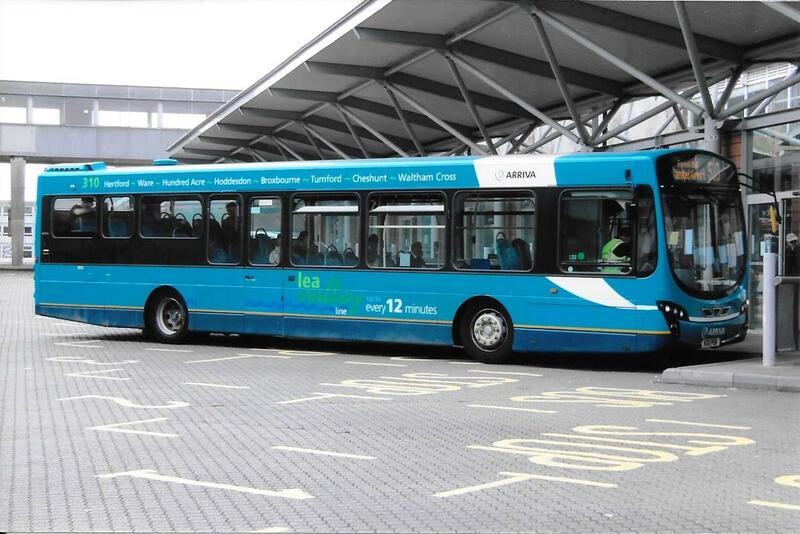 It's seen here standing in for an MMC on the Stansted-Harlow group of routes. (R Hudson). A fleet of 9 vehicles were introduced new in 2006 and allocated to Green Line 724. All have Green line 724 branding. A further additional vehicle was added in 2008, but since then three of the fleet have departed. The vehicles were numbered 3901-7/10 until the end of 2013. 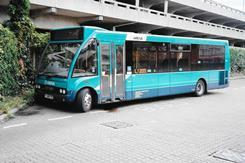 For some time, substitute vehicles on the 724 have been a regular occurrence. 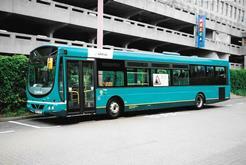 Conversely, it's common to see Citaro's on local route 10. 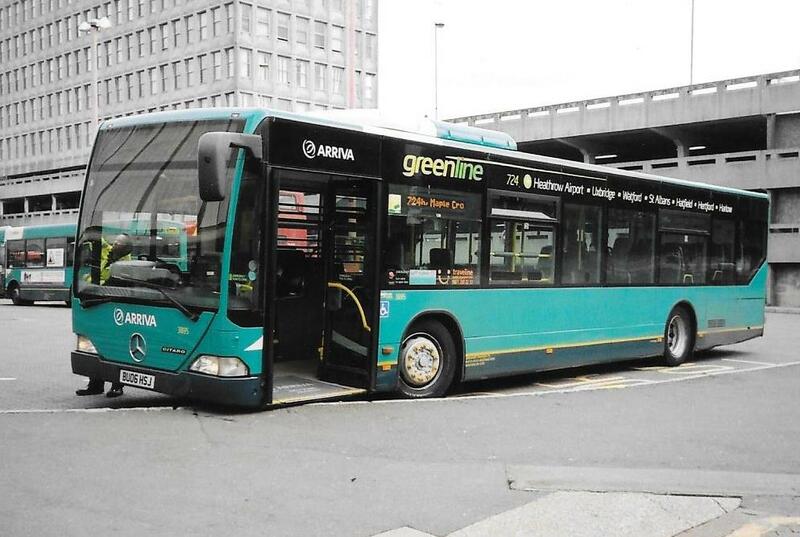 All entered service in Green Line livery, but in June 2016 3895 received a repaint to standard livery, followed by all of the other "06" registered vehicles during the rest of the year. All still have Green Line 724 branding. 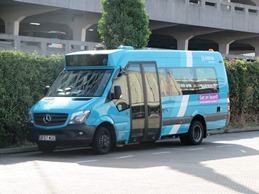 In August 2018 an additional vehicle joined the fleet. 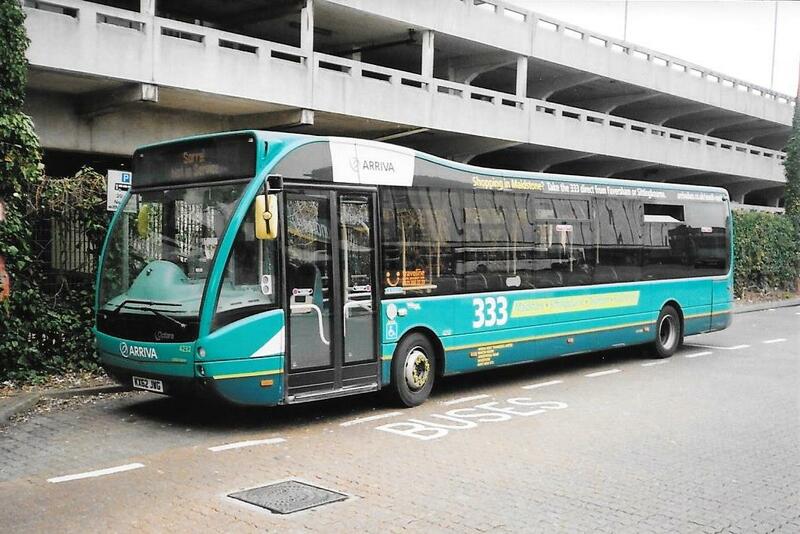 Fleet number 3909 is essentially a different vehicle in so much as it's shorter and has 29 bus seats compared to the rest of the fleet which have 37 dual purpose seats. Of course it's also 6 years newer than the rest. It took from the very earliest intake until November 2009 for Harlow to have a fully standard minibus, but the Optare Solo finally conquered all, even if there area lot less minibuses than there once were. A number of batches entered service progressively from June 2004. A reduction in the number of Solos in the fleet took place with the transfer of the 251 (and 250) to Ware in September 2009. 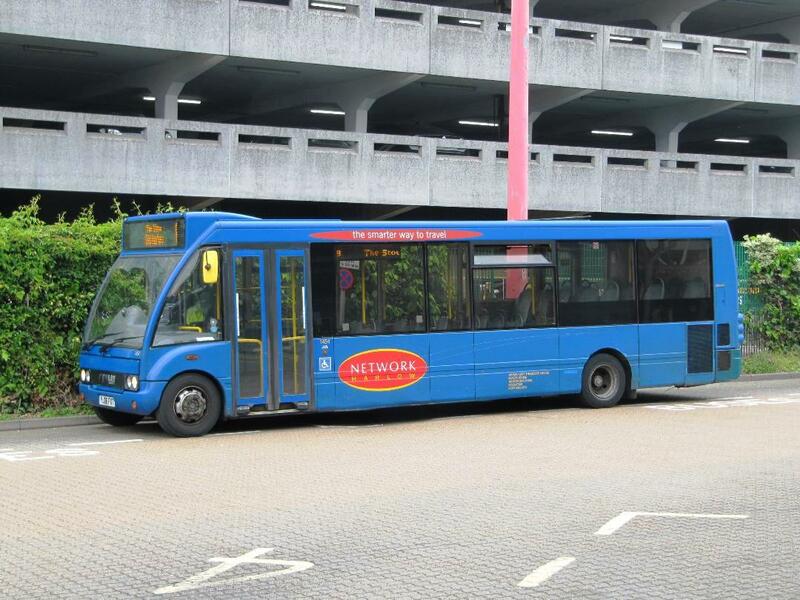 In May 2011 the first two vehicles received Network Harlow livery, completion of this exercise taking until September 2012. 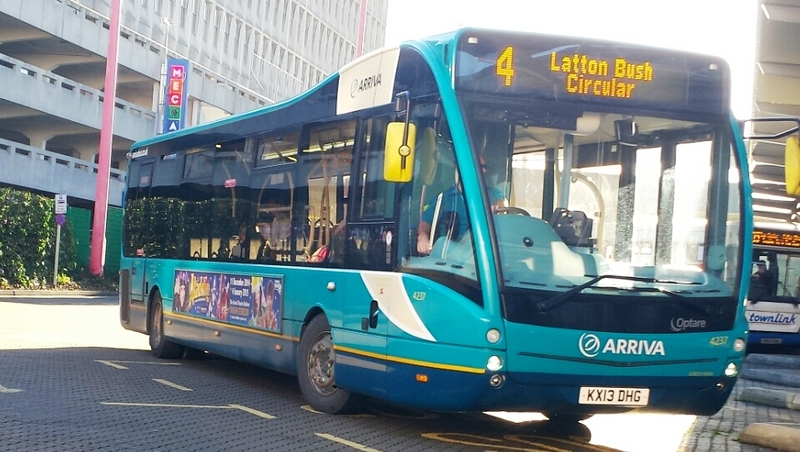 This process started to be reversed in June 2015 with 1474 and then 1453 in August returning to Arriva livery. The pace of this change stepped up in 2016 and now just one vehicle, 1454, remains operating with this livery. 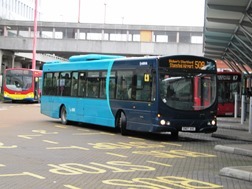 All of the Harlow-based Solos had their fleet numbers changed from the equivalent number in the 2xxx series during December 2013 or January 2014. A former deserter, 2488, which returned in December 2017, escaped the renumbering. 1453/4/6/7/8 and 1466/7 are M880's, whilst the others are M950's except 1517 which is an M920. Undoubtedly approaching the end of their lives, but looking good and fitting in well all the same, a trio of this type were collected together in February 2019, seemingly to replace a number of occasional loans. 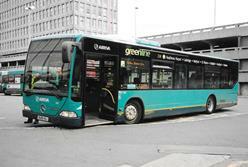 All started life in London on TfL services with Arriva.